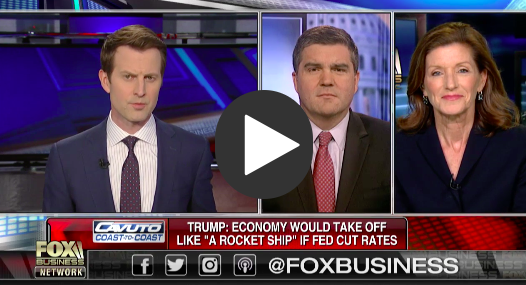 On April 5, SBE Council president & CEO Karen Kerrigan appeared on Cavuto’s Coast-to-Coast on Fox Business where she and fellow guest Ed Mills discussed the latest on the economy, and President Trump’s displeasure with the current Fed’s actions on interest rates. Kerrigan argued that the President must focus on the policy levers under his control to strengthen the economy, including trade policy (getting deals done) and low-hanging legislative opportunities on Capitol Hill. Watch the 4-minute clip here.